Stepping up, stepping in, we have the one and only Italian man living in Spain who makes music. What is a ciquita? "Ciquita is me facing a different language, culture and country." Hi! I’m Borut, Italian born but Madrid based DH and producer. My name sounds weird because my city is on the boarder with Slovenia and a lot of people have a Slovenian first name or surname. Bawrut is my music project and I run it alongside Silencio, a blog/label where I put everything I like. Did you have any idea ciquita would strike a chord with so many people? Everyone from Jackmaster to Alfredo! Since the first time a friend of mine told me that this song could be “something”. Obviously I didn’t trust him and right now it’s pretty weird to see it being appreciated from Balearic Heads to Top DJs. I’m flattered. Why did you send us the track? I pass by your posts everyday, friends like Fango or Marvin & Guy were hosted by you and I thought could be cool try to start to promote Bawrut by your web. Did you find Ransom Note a welcoming family? No absolutely. Music is not an everyday struggle but in 10 years experience in this world I met a lot of people and it’s like swimming in the Australian seas: great places and beaches, wonderful wildness but tons of sharks ready to bite you. We aren’t best pals but the family gave me a strong impression, maybe because I brought with me 500 grams of Jamon Serrano de Bellota! I did this mix at my home/studio with Ableton Live. I spent a couple of days selecting records, wavs and mixing and editing project I had in my laptop. This is a Club Silencio, a session recorded for dance. Pump up your speakers!! This mix is a journey into the Bawrut / Silencio sound, like when you visit a city full of museums and places to watch is strictly suggested wear comfortable shoes. I saw this Studio/House Soulwax built in Ghent. Think THAT is the place for everything! In the meanwhile a proper DJ booth with 2 turntables and 2 CDJs and a good mixer could be great for recording on tape the set, maybe while someone’s dancing. I could put the tape in a pizza box! I'd rather put some forthcoming remixes/tracks I did than “all time favorites”. Anyway Routa and Rumba are two unreleased tracks I always play in my set. Playgroup : Party Mix vol. 1 was a supernova, still one of my favourites! Not a proper mix but a groove enciclopedia. 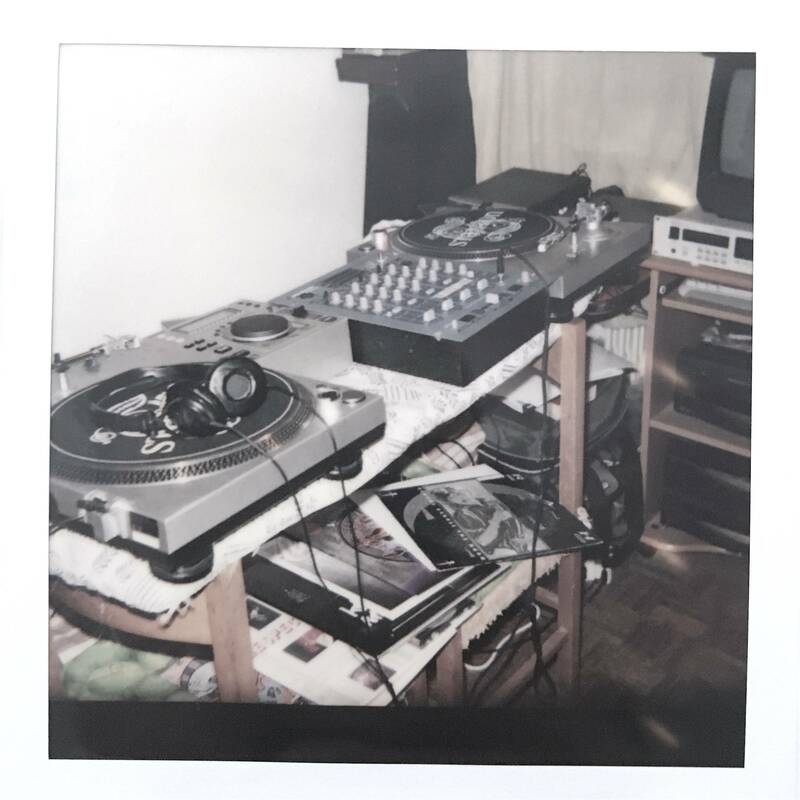 This is a polaroid with my first set up: turntables on an ironing board put over two chairs. Cheap mixer and 2 CDJ Gemini!! Now I have my 2 Technics SL 1200 and a Beringher mixer. Both, usually the first lead you somewhere and the last one give you the proper stop. First record: Patrick Adams presents Phreek i guess or a 7” of Patrick Juvet - I love America. Don’t remember. Last record: Rainycity on MCDE rec. I like to cook and i really love the mediterrean cooking like the libanese, greek and italian but when we was 20 we used to go to Slovenia and we used to buy this super sour jellies. Our favorite was the Trolli’s Apple O’s. Why? 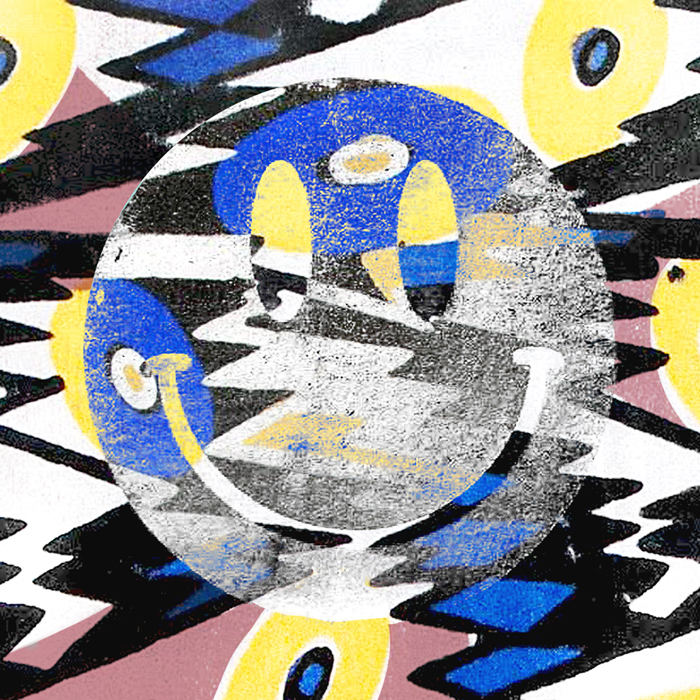 It’s not a mystery, this is acid man! I always have great problem with disco in general, the bpms always change. And the first bars of Loose Joint’s “Is It All Over My Face” are always something very, very difficult to mix. Do you love Ransom Note as much as we love you? I always had a focus on the website and all the articles, music and link you used to post everyday BUT since I met personally all the staff I sincerely love R$N. People first! Ciquita is me facing a different language, culture and country. I wrote this track just with my 303 because everything was packed in the boxes after the moving. I did this bassline and decided to use a library of spanish voices after writing a music theme for a runaway show here in Madrid. Yes! Analog or Digital? Vinyl or WAV or MP3? Follow Bawrut on Facebook HERE. Go see him DJ in our wonderful city without a Tory Mayor any longer at Suspiciously Delicious 001 next weekend here.